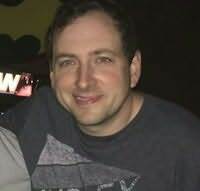 Scott Cawthon is the author of the bestselling video game series Five Nights at Freddy s, and while he is a game designer by trade, he is first and foremost a storyteller at heart. He is a graduate of The Art Institute of Houston and lives in Texas with his wife and four sons. Kira Breed-Wrisley has been writing stories since she could first pick up a pen and has no intention of stopping. She is the author of seven plays for Central New York teen theater company The Media Unit, and has developed several books with Kevin Anderson & Associates. She is a graduate of Cornell University, and lives in Brooklyn, NY." --This text refers to an alternate Paperback edition.